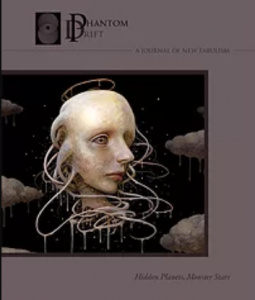 Phantom Drift is a non-profit journal dedicated to publishing fabulist writers and artists by producing a perfect-bound print edition and paying contributors for their work. Come hear some fantastical poetry and excerpts from these surreal and unusual pieces by local writers. The lineup so far includes Phantom Drift Editor Matt Schumaker, Brittany Corrigan, Donna Prinzmetal, John Morrison, Armin Tolentino, Pattie Palmer-Baker, and Devon Balwit.